Hospitalization is extremely expensive. Every year, hospitalizations account for one third of the $2 trillion in total annual health spending in the U.S. But what you may not know is that one in nine hospital admissions is actually a re-hospitalization – when a patient is readmitted to hospital within 30 days. Some patients are more prone to readmission than others; in fact, nearly a quarter of all Medicare patients return to hospital within a month of discharge. The total cost of these repeat hospital stays is estimated to be between $25-$45 billion. Despite the increased attention this problem has received from the Obama Administration, hospital executives and health care industry leaders, the national readmission rate still hovers around 19 percent. For the elderly, re-hospitalization can be traumatizing, yet it is often avoidable. Research shows that 75 percent of Medicare hospital readmissions (4.4 million patients) may be preventable, suggesting potential savings of up to $12 billion in annual Medicare spending. According to The Agency for Healthcare Research and Quality (AHRQ), 90 percent of readmissions are unplanned. 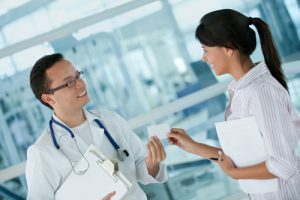 Such high numbers are often attributed to poor care coordination and continuity: fewer than half of re-hospitalized patients actually see a physician prior to readmission, and studies also show that nearly 20 percent of Medicare discharges are followed by an adverse event within 30 days, usually related to medication mismanagement. Until recently, hospitals have had little incentive to keep patients from being readmitted. But that changed in October 2012 when the Centers for Medicaid and Medicare Services (CMS) began penalizing hospitals with the highest readmission rates. Nearly 2,000 U.S. hospitals have already been penalized under the program to reduce readmissions. Since it is elderly and vulnerable patients that are most often re-hospitalized, it is the hospitals serving these populations that will be hardest hit by the penalties. Kaiser Health News reports that institutions in New York, New Jersey, Washington, D.C., Massachusetts, Illinois, Arkansas, Kentucky, and Mississippi are most at risk. 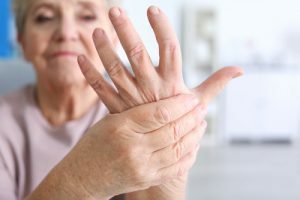 Research shows that adverse medication events are responsible for more than 88 percent of emergency hospital admissions among elderly patients, two thirds of which are readmissions, suggesting better medication management is key to avoiding Medicare penalties. Adverse medication events within the 30-day window can be addressed through medication reconciliation methods and proper medication therapy management (MTM). These programs promote collaboration between hospital staff and community pharmacists to align prescription therapy and oversee discharged patients’ medication regimens. Last year, for example, Walgreens launched WellTransitions – an alliance between hospital staff and primary care doctors. As part of the program, patients receive a medication review upon admission and discharge from hospital, bedside medication delivery, medication education and counseling, and regularly scheduled follow-up support by phone and online. Timely, well-designed patient education at the time of discharge is emerging as an important priority, not only for avoiding the cost of preventable readmissions, but also as a component of patient satisfaction and quality of care. This approach fits nicely within the Affordable Care Act’s promotion of the medical home and Accountable Care Organization (ACO) models. The most effective patient education programs seek to improve compliance, health literacy and self-management by reinforcing methods of self-care, regular follow-ups via phone and a physician visit 5-7 days after discharge. According to the National Council on Patient Information and Education (NCPIE), three-quarters of patients fail to take their medications as directed, in part because they lack the literacy to understand prescription instructions. Proper medication use should be at the center of patient education, especially for high-risk patients with multiple chronic conditions. Another common reason for re-hospitalization is the lack of necessary follow-up and monitoring when patients are discharged. Many patients fail to see a health care provider after leaving the hospital. In fact, fewer than half actually see a physician between discharge and readmission. Evidence from Medicare’s Quality Improvement Organizations (QIOs), the Institute for Healthcare Improvement (IHI) and AHRQ suggests that enhancing post-acute follow up can reduce preventable readmissions. Here, the discharge planner or care coordination nurse plays a critical role in encouraging engagement when the patient leaves hospital care. Hospitals need to stay in close contact with patients after discharge through frequent phone calls as well as encouragement and reminders to keep scheduled appointments. Having a home health aide or access to home care services upon discharge is a very effective way of improving a patient’s care transition. Studies show that persons who live alone have a 50 percent higher risk of readmission compared to those living with others. Home care can help reduce readmissions by providing a low-cost supplement to medical-based care transitions. 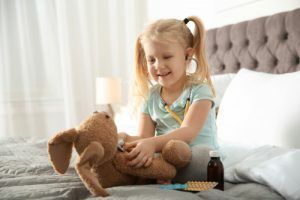 In-home caregivers can provide personal care assistance, medication reminders, transportation to appointments, and act as the critical link in communicating with other care providers to raise red flags and provide early detection. Real-time monitoring of care and health status can identify issues and allow early intervention in a patient’s home, reducing acute care visits and the need for readmission to hospital. Actionable data from the home is key to reducing emergency room visits and preventable hospital readmissions – especially for a high-risk population of seniors and individuals with chronic illnesses. 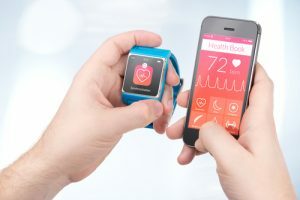 Tools that uniquely integrate in-home clinical and behavioral information help care managers determine who is at risk for readmission, offering hospitals protection from expensive Medicare penalties. Such tools also enable patients to live at home, in greater comfort and at lower cost, lifting the burden on themselves and their families. 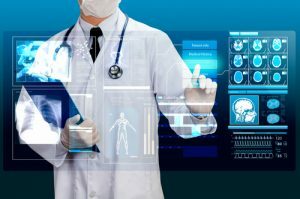 These emerging digital tools enable health care organizations to assess and better manage who is at risk for readmission and determine the optimal course of action for the patient. This article also appeared on HIT Consultant.